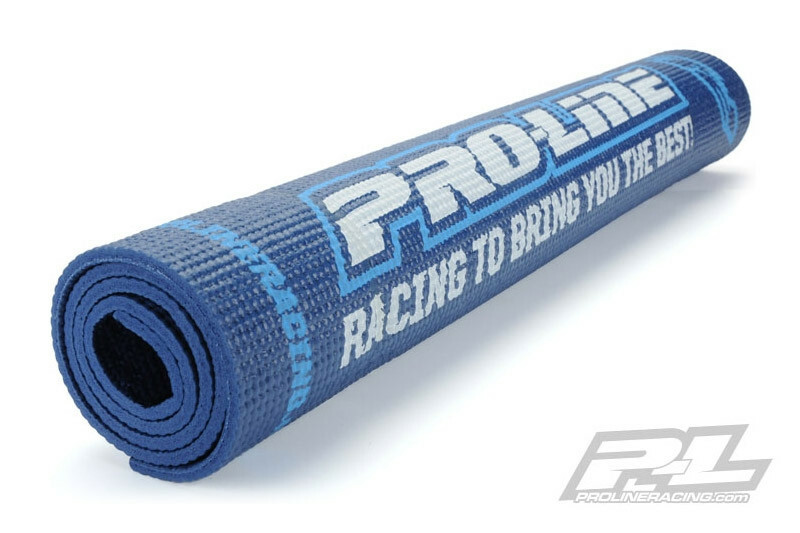 Pro-Line Large, Durable, Light Weight, Roll Up Car Pit Mat 24" x 36"
Pro-Line has an all-new Roll-Up style Pit Mat perfect for all the racers and bashers who are always on the go! The Roll-Up Pit Mat is Pro-Line Blue with multi-coloured Pro-Line logos printed all around. 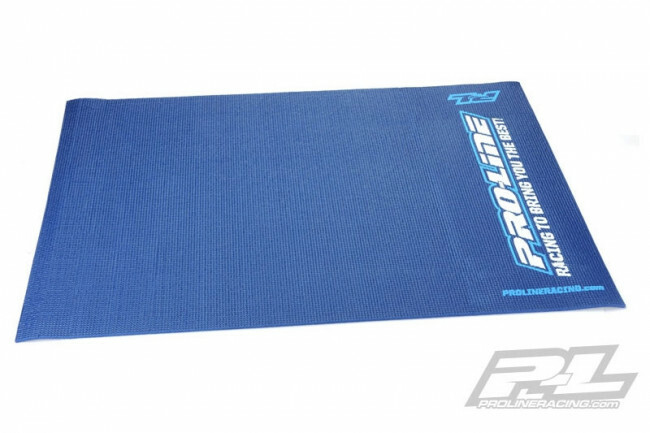 The mat is made from a light-weight, durable, non-slip and extra thick material that resists most commonly used chemicals found in RC. Get yours now! Multi-Coloured Pro-Line Logos for added style.